Just a simple question from you... what is on the top of your wishlist to safeguard yourselves from soaring temperature?? Light fabric clothing, sunscreen, a vacation to a hill station or something else? But I feel relieved and happy to my heart when I am served chilled homemade drinks that ensure goodness of its ingredients and satiate my taste buds too. 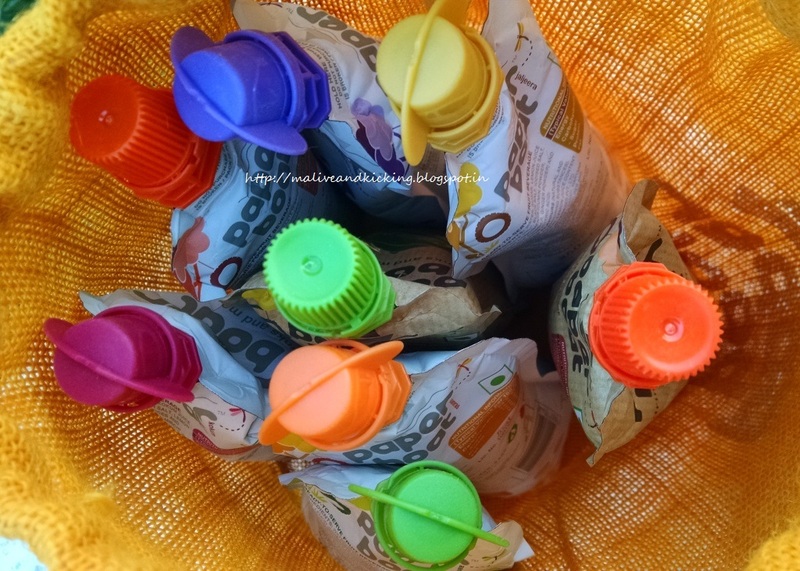 It was a real treat to my eyes when I loosened the jute bag and peeped in to find colorful pouches filled with yummy liquids. 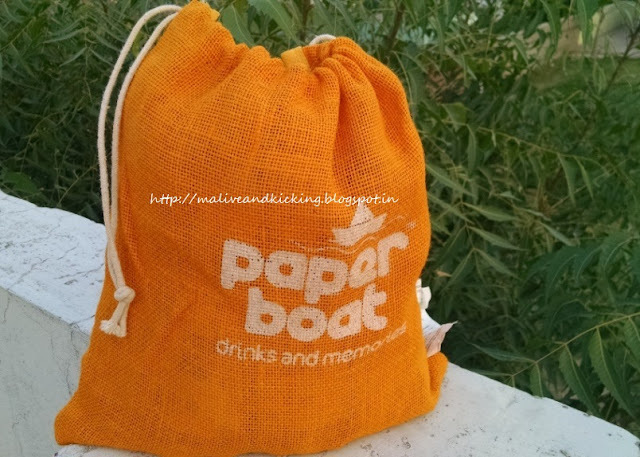 Further more, digging into details, I got to know that these Paper Boat pouches are made of a four-part laminate. The two outer layers are a blend of proprietary polypropylene and polyethylene. This makes the pack withstand extremes in pressure and heat while at the same time being easy to print upon. This is the one time you can actually judge something by its cover. The penultimate layer is made of bonded aluminium. This is to keep any form of moisture and vapour entering the pack and tampering the goodness of the drink inside. Of course this layer makes no contact with the drink. That’s the job of the inner (and final) layer. This layer is made of virgin, food-grade polypropylene which keeps the content fresh, safe and tasty. 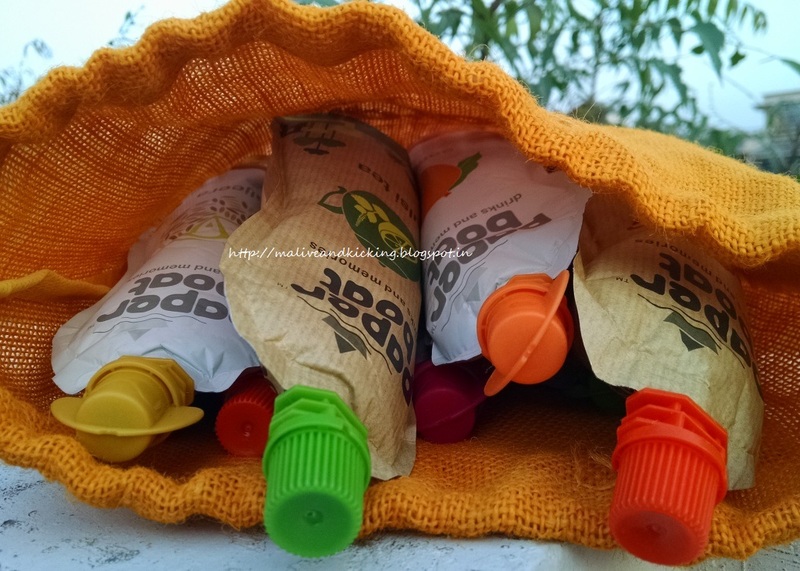 These pouches have a 10% lower carbon footprint and generally lower overall environmental impact than glass bottles, Tetrapak and PET bottles. They are lighter and more compact, making them easily transportable. Thats way they even cause fewer emissions for the same volume of drinks and boast of significantly lesser percentage of packaging waste. But as of now, these pouches are not recyclable. What all flavours I have tasted? Aamras is the pure nectar directly from Heavens for mango lovers. And its the right time to talk about an equally delicious drink from Paper Boat that is an infusion of mango pulp, sugar, cardamom, saffron, citric acid, antioxidant and nature-identical flavoring substances. The first few sips and I could not find anything special about the drink, but for sure satisfied my quench for a sweet liquid. 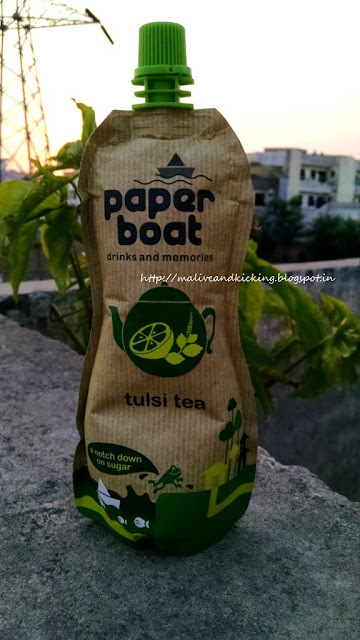 Tulsi Tea, I connect this name to a drink that mom used to give us when suffering from cold and fever. She usually put 5 leaves on tulsi while boiling tea even now and has total faith in the medicinal properties of 'most sacred plant on our culture'. Jaljeera is always on the front rack on my kitchen shelf. I keep it handy as a digestive drink. 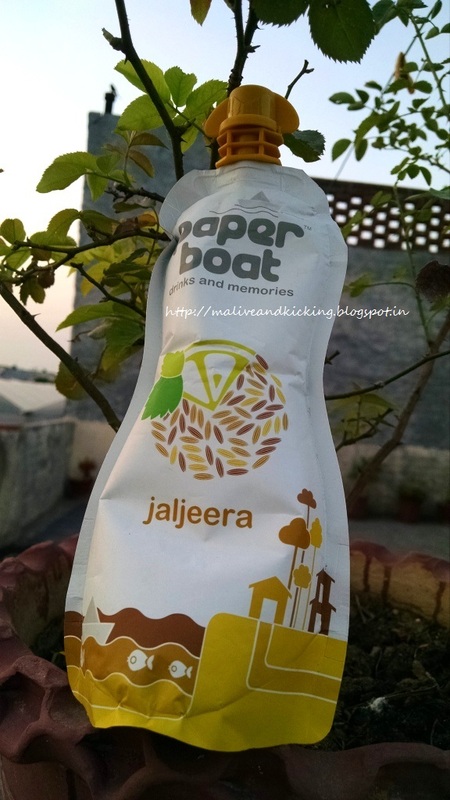 Mom used to give me few sips of jaljeera with added sugar when I felt nausea during my pregnancy. Even when I go to marriages, parties and other social gatherings, where jaljeera is being served as one of the welcome drinks; its is always my first choice. common iodized salt, amchur powder, lemon juice in the Jaljeera drink.The roasted cumin n black salt flavour is my fav among spices that shines through while sipping jaljeera. Not to mention, jaljeera is one of the most effective appetizer and helps clearing congestion. Chilled Rasam reminded me of my colleague who brings delicious south Indian snacks in tiffin with Rasam and I desperately wait for lunch time to relish it. But I scratched my head how come rasam be a drink and that too chilled!! 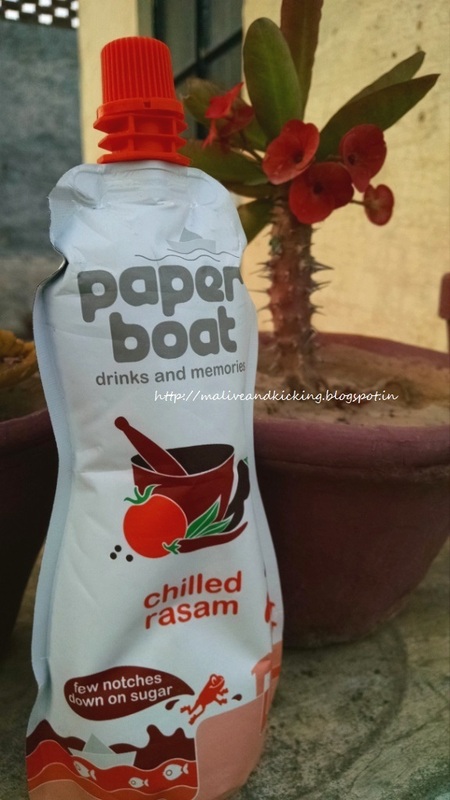 Paper Boat has done a fab job by turning the mixture of tomato & tamarind into a cocktail with a lil bit of water and some spices like corriander, cumin, red chilli, asafoetida, salt. The brand claims 'no added sugar' for the infusion. 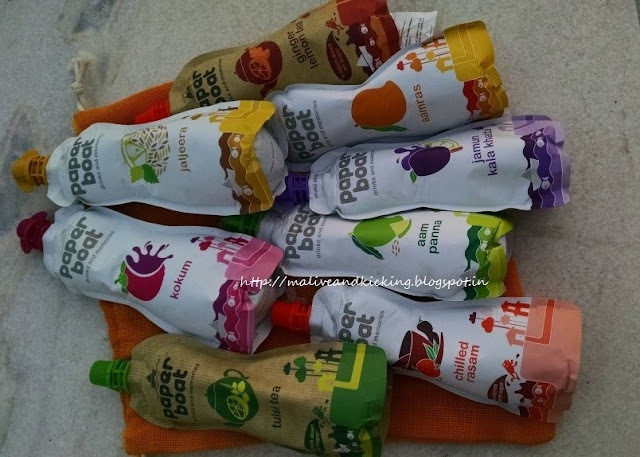 Its contents are high on organic acids like citric acid and tartaric acid and are laden with anti-oxidant properties. The spicy drink in brown color is 'one-of its kind' flavour and immediately relieves you if you are overeaten. It is more on spicier side than sweet, and this is because it is one of my favourite out of the whole lot I tasted. The word "Chilled" in the title is actually added to suggest you to refrigerate the pack before you drink to enjoy the real taste, but it goes fine otherwise too. 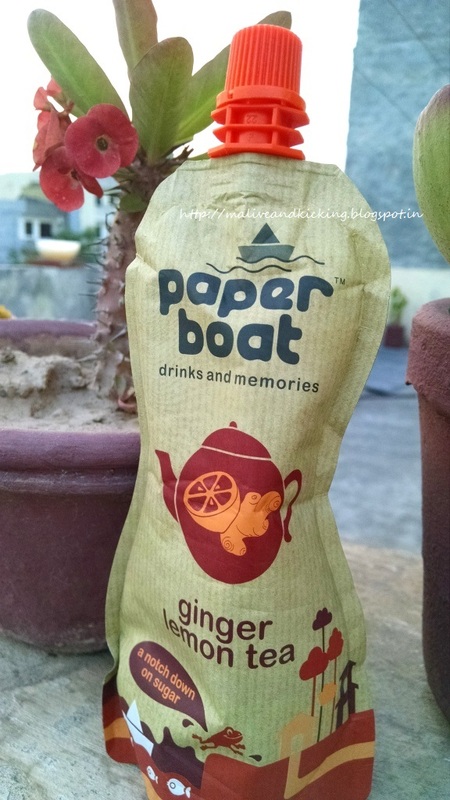 Ginger lemon Tea, a preparation out of ginger, lemon juice, black tea leaves, bit of sugar, water and some lemon grass is Paper Boat's promise for reducing inflammation, regulating blood flow and combat motion sickness. The cold teas is so popular in every household that at times you feel like ditching usual cup of hot tea. This ready-to-consume drink refreshes you after a tiring day at work. For an avid tea-lover, who prefers tea without milk, this ginger smelling iced-tea is nothing less than a gift of love. Again, I would say the wonderfully balanced aromatic drink is best enjoyed cold. Its authentic flavour will revive your senses. 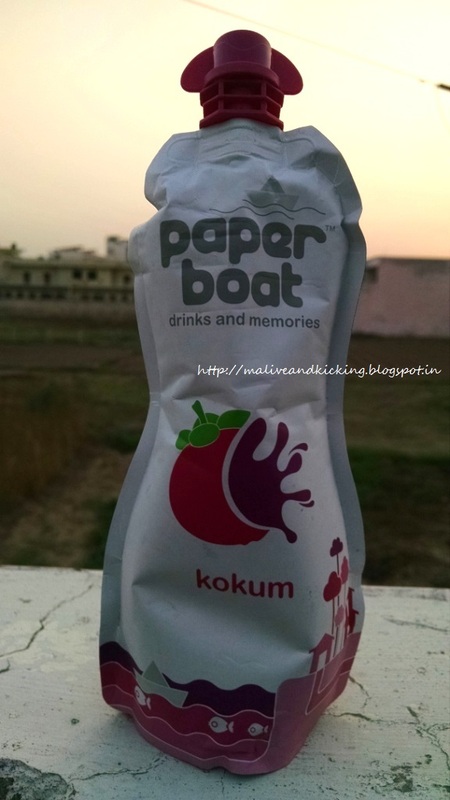 Frankly, I didn't know about Kokum Berries before I read about them before tasting this drink. Kokum is a berry belonging to the mangosteen family and is made exclusively for the South Asian palate. They have potent anti-oxidant, anti-glaucoma, anti-ulcer, anti-fever, anti-vertigo, anti-allergic, anti-bacterial and anti- inflammatory properties. Jamun, is these days on of the must-have fruit in my refrigerator coz mom is diabetic. We all know that Jamun is a good source of iron and Vitamin C. Not only it is suggested to diabetics, but it is pro-digestive, clears the skin, cures anaemia and kills fatigue. Jamun juice is said to improve eyesight and hoarseness of voice too. 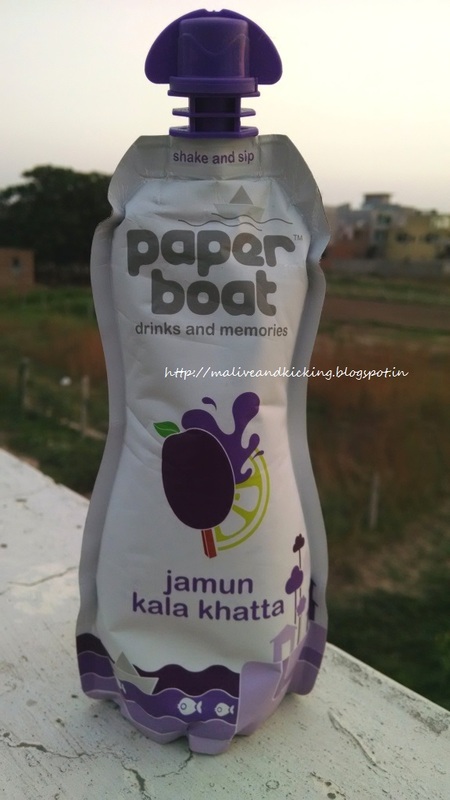 Now lots of jamuns have been smashed with cumin powder,black pepper powder, black salt, common iodized salt, lemon, citric acid, natural and nature-identical flavoring substances, sugar and water to give everyone a tasteful treat in Jamun Kala Khatta drink. Don't confuse it with kala khatta variant we used to have on Ice Gola during childhood days. The drink is thick as wanted it to be and tastes like salted jamun. 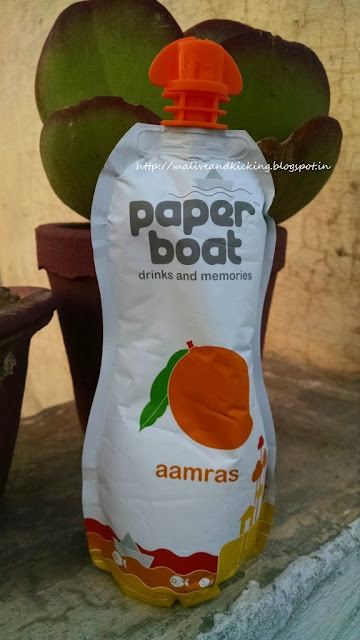 The Aam Panna by Paper Boat is identical to that taste which is an outcome of green mango, lemon, Common salt, black salt, black pepper, cumin powder, amchur powder n sugar. It saves you from terrible gastrointestinal disorders like diarrhoea, dyspepsia and dysentery. There is no match if you drink it regularly to save yourselves from sun stroke in scorching summer. Its flavour actually lingers on for next few minutes on my tongue and I enjoy it to the core. Low/no sugar content in most drinks. These drinks are available at most supermarkets at a price of Rs 30 each for 250 ml. If you have tasted Paper Boat drinks, do tell me which is your fav flavour.. 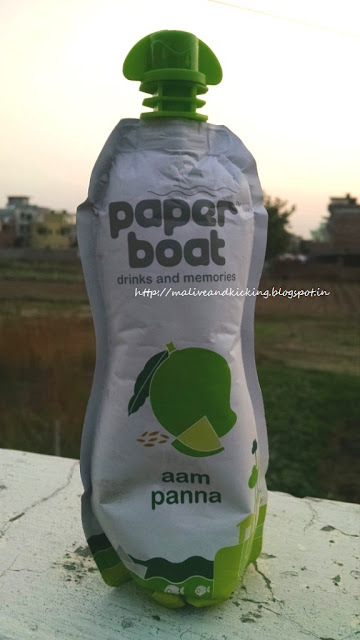 I have tried their aam panna variant, I did not like it much, and thought not to try any other variant, but now reading your review, I will surely try these variants.